The area where San Antonio now resides was discovered by Spanish expeditions in 1691 and 1709, which named the San Antonio River and San Pedro Creek. The town grew out of San Antonio de Béxar Presidio, founded 1718, and the villa of San Fernando de Béxar, chartered by Canary Islanders in 1731. Beginning in 1718, five Spanish missions were located along the river. In 1749, the presidial captain’s house (later the Spanish Governor’s Palace) was completed on Military Plaza and San Fernando de Béxar Church was built by 1758. In 1773, San Antonio de Béxar became the capital of Spanish Texas. The population was poor and heterogeneous, made up of Europeans, mestizos, and a few black slaves. The missions were all secularized by 1795, and San Antonio de Valero Mission (later, the Alamo) became a military barracks. San Antonio declared for Mexican independence in 1813; it was recaptured by Royalist forces after the battles of Alazán Creek and Medina, and the population was decimated by purges. During the Texas Revolution, San Antonio was the site of several battles, including the siege of Bexar (December 1835) and the battle of the Alamo (March 6, 1836), which made it one of the most fought-over cities in North America. After the evacuation of Mexican forces, Bexar County was organized by the Republic of Texas in December 1836, and San Antonio was chartered in January 1837 as its seat. 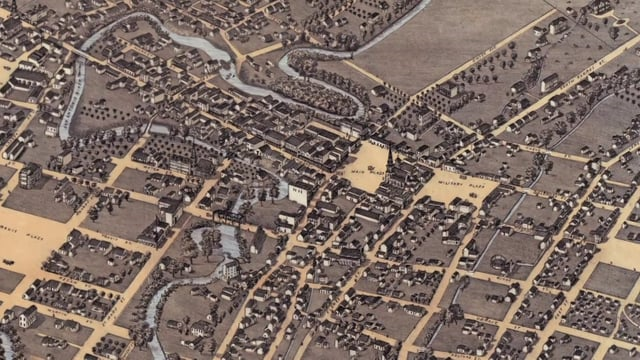 After Texas entered the Union growth became rapid as the city became a servicing and distribution center for the western movement of the United States. 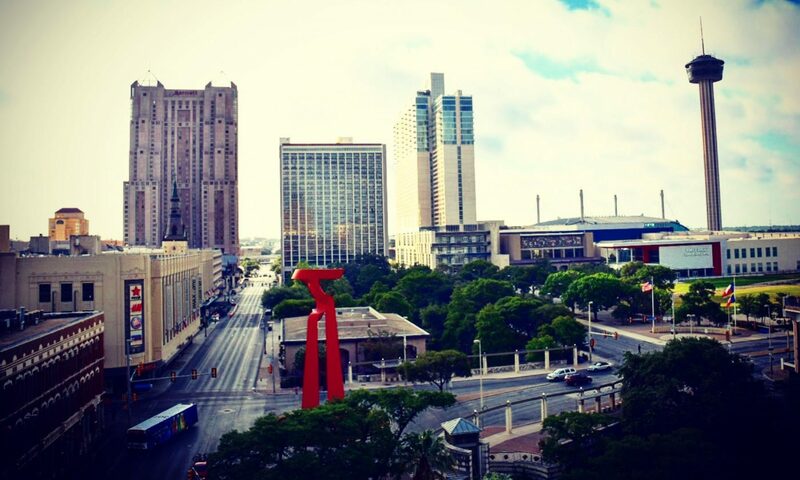 The census showed 3,488 in 1850 and 8,235 in 1860, making San Antonio the largest town in Texas (ahead of Galveston). Germans made up a large part of this growth; German speakers outnumbered both Hispanics and Anglos until after 1877. After the Civil War, San Antonio prospered as a cattle, distribution, mercantile, and military center serving the border region and the Southwest. The city was the southern hub and supplier of the cattle trail drives. San Antonio did not expand beyond its original Spanish charter land until 1940. The land was large enough to allow a number of incorporated suburbs within the metropolitan area, but the city soon went beyond these. Like most twentieth-century American cities in the automobile age, its expansion was mainly horizontal, with sprawling neighborhoods but little vertical building. The First United States Volunteer Cavalry was organized in San Antonio during the Spanish-American War, and in both world wars, San Antonio was an important military center for the army and air forces. It has retained this status. Fort Sam Houston and Kelly, Randolph, Brooks, and Lackland Air Force bases were the city’s leading economic generators for many years. Today the city has developed a viable economy from its stable military bases, educational institutions, tourism, and its medical-research complex.